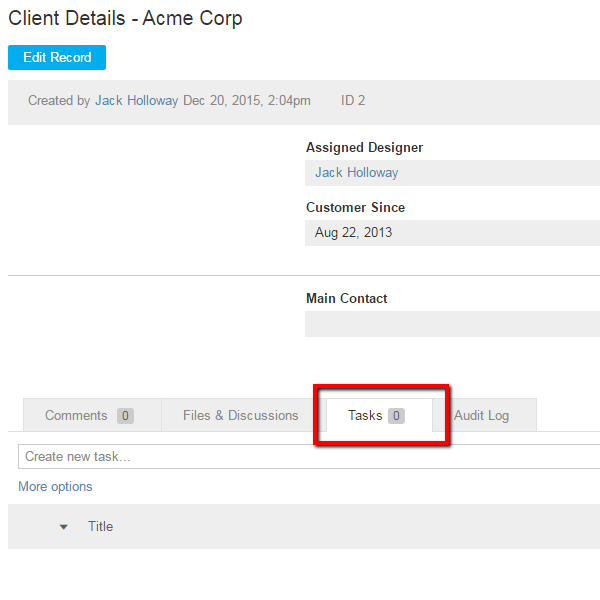 Tasks can be assigned to individual database records and housed in a tasklist specific to the database. They can be used exclusively for Database and Project Management functions, and can also be used to tie Files & Discussions in as well. In order to create tasks in a database records, you must turn them on from inside a database. To locate this setting from inside a database, navigate to Options > Database Actions > Edit > Properties. 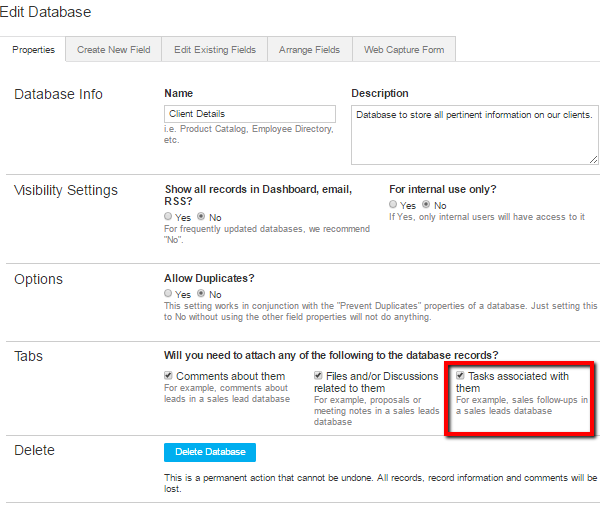 After you turns tasks on in a database, you will now be able to create tasks from within a database record. You can find the Tasks tab located at the bottom of a database record to the right of the Comments and Files & Discussions tabs. 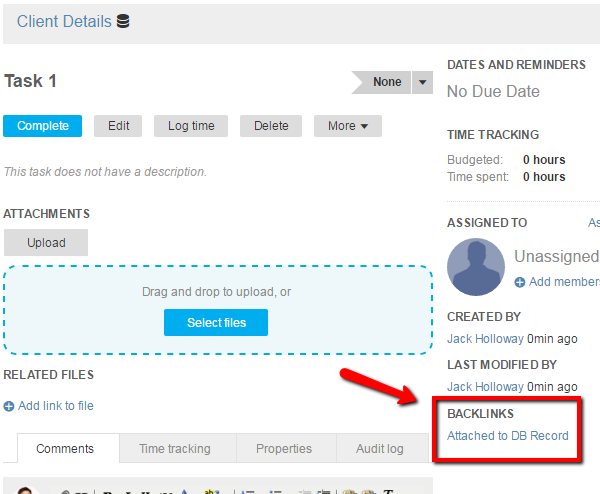 Tasks attached to database records will have breadcrumbs to the record from the task detail page and back links from the record. For more information on creating tasks, please view our Tasks article. Also, you cannot attach these tasklists to a milestone like you could with a normal tasklist. 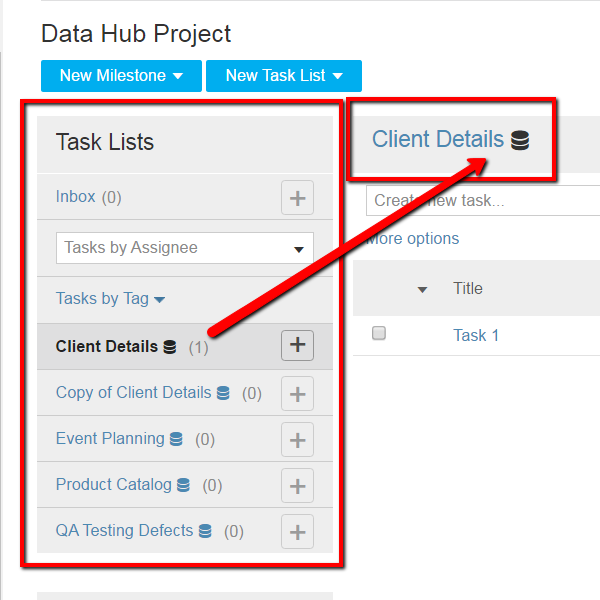 Furthermore, you can create a task from the Project Management tab, in the database tasklist, however, it will not attach itself to any record in the database as there is only one tasklist per database and it would not know which record to attach itself to. The only way to remove these tasklists, once created, is to delete the database itself. Workflow rules in database can trigger a task to be created when a record is added, modified, deleted, or checked nightly. A user can create asignees, CCs, start and due dates, tags, priority, and much more using a workflow rule. For more information about workflow rules, please visit our Workflow Overview video.